and WMA Second Saturday Street Faire. Create a gingerbread house of your dreams and bring it to town on November 30th. Who: This is for ALL ages! No one is too young or too old to celebrate the most wonderful time of year. When: Friday, November 30th, 5-6:30pm. Drop-off time for the Gingerbread Houses. Where: The Hammel House, 121 South Main Street, Waynesville, Ohio. 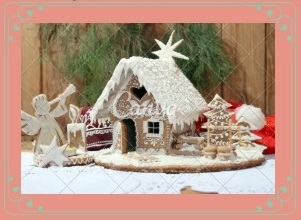 How: Build your gingerbread house with anything edible: gingerbread, graham crackers, rice crispy treats, candy! Prizes: Entried will be judged by the Waynesville Arts Council. Three $50 prizes will be awarded on Sunday, December 2nd; one in each of the following categories: Most Delicious Looking, Most Creative, and Most Festive. Sponsored by: Waynesville Arts Council, Wayne Local Schools, and WMA Second Saturday Street Faire. 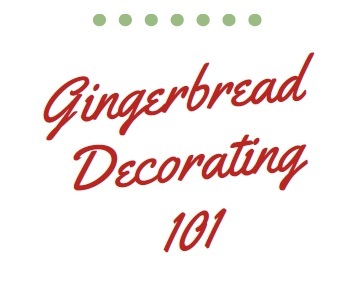 On Sunday, November 18th, Mary L. Cook Public Library is holding a class on Gingerbread Decorating from 1:00-4:00pm. This class is for all ages, and all basic supplies will be provided (graham crackers, icing, and candies). Drop in to the Gingerbread Workshop and get some practice creating and decorating a sweet treat. Want to work on something more advanced? Bring your own palette of edible artistic accoutrements to personalize your masterpiece.